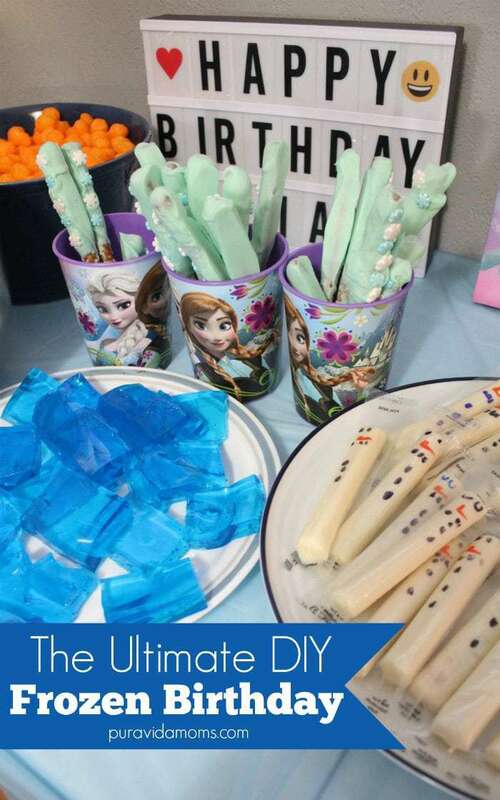 A roundup of the best and easiest Frozen birthday party activities- perfect for busy moms on a budget. 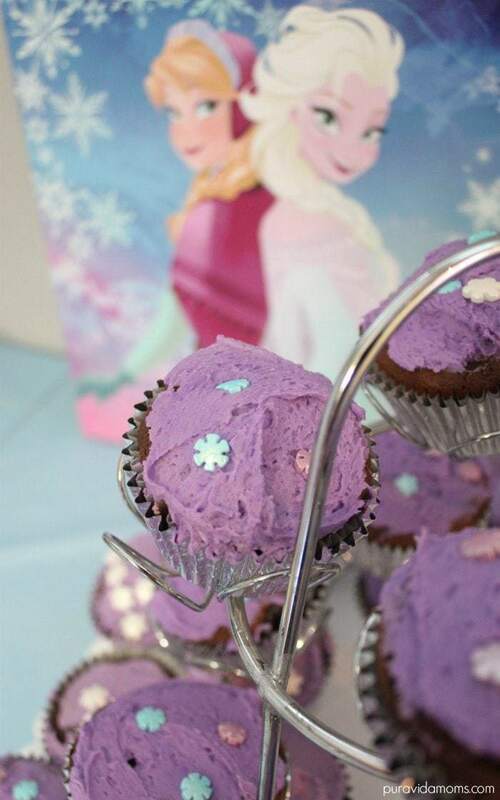 This ultimate Frozen birthday party will make your kids and your wallet happy! It’s a big year for us- Big Sister turns 5. It seems like just yesterday I was teaching full time and anticipating the birth of a new baby. I remember going into labor during class, and not really even realizing that was what was happening until much later. Probably since labor lasted almost two days and the baby was two weeks early. And now, here we are, planning the ultimate Frozen birthday party. Our girls LOVE want to have birthday parties and I just can’t say no! find myself unable to say no. That said, we definitely do not have an unlimited budget, and I generally try to keep the cost of a party between $100 and $150- including the bouncy castle rental! That means that I do the baking and we DIY our decorations, and we have anyone over to our house. I wanted to share with you what we are creating for the Frozen birthday party this year! I raided the Dollar Tree for decorations, but I did splurge on a few things on Amazon (affiliate links). I bought a light up wall art canvas with LEDs that will stay in Big Sister’s room, and one of the light up letter boxes that you can customize the letters so I could write a happy birthday message to her. Frozen chocolate dipped pretzel sticks– the most popular food item of the party by far! I bought these cute sprinkles for the swizzle sticks and the cupcakes on Amazon. Chocolate cupcakes with purple buttercream frosting. These were delicious- some of the best cupcakes I have ever made. I then popped up some popcorn and bought some cheese balls. We drank juice out of cups from the dollar store. Food budget was about $50. Frozen head gear from Sisters Suitcase. As everyone was arriving they could create these headbands. Finally, I bought the Frozen soundtrack on Amazon (affiliate) and we had a good old fashioned dance party. Talk about adorable! And for the goodie bags I kept it really simple by sending home these adorable deconstructed snowmen! And that’s it! 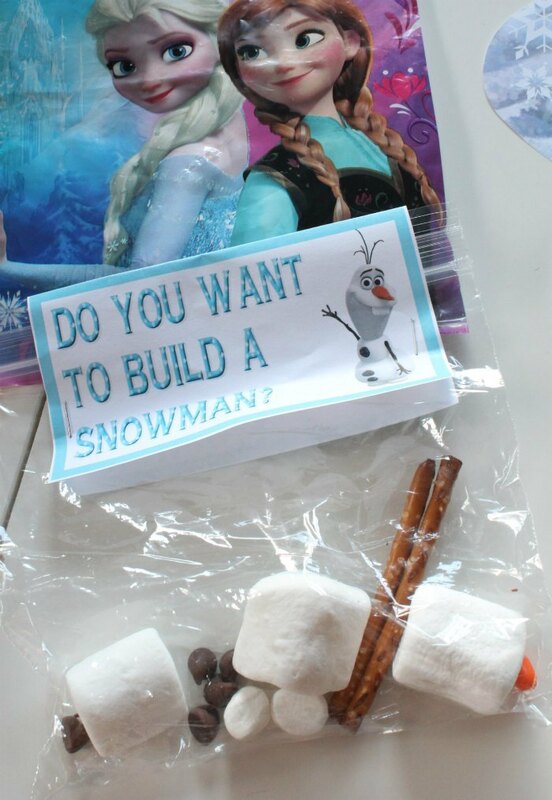 Have you ever done a Frozen birthday party? What were your best activities and ideas? Let us know in the comments below! Looking for more fun Disney activities from Pura Vida Moms?